Stephen of Blois, Count of Boulogne, was the grandson of William the Conqueror, he was admitted to the court of his uncle King Henry I, gaining prominence and lands. He married Matilda of Boulogne, between them they inheriting wealthy estates in Kent and Boulogne. In 1120, Stephen was to have sailed on the doomed ‘White Ship’ but got off and waited for another vessel, the sinking of the ‘White Ship’, took the life of Henry’s son William Adelin, and two hundred and ninety-eight passengers. The lost of the heir apparent laid open the succession of the English throne on the death of King Henry I in 1135. Stephen seized the day and crossed the channel from Boulogne with an invasion fleet with the help of his brother Henry of Blois, landed without incurring a strong resistance from the garrisons placed to defend the ports. 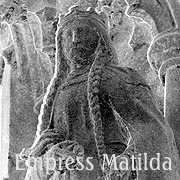 by Empress Matilda’s half-brother Robert of Gloucester a supporter of Matilda and Geoffrey, the Count of Anjou whom she had married in 1128. On 8th December Stephen’s army had reached his estates on the edge of London, and began to seize power taking the throne, on 22nd December 1135, four days later he was crowded King of England, breaking an oath made to King Henry to support the claim of Empress Matilda, Henry’s daughter. In May 1139, Empress Matilda formed an allegiance with Robert Earl of Gloucester, and took Arundel Castle and embarked on getting support in England with the aim of claiming the throne, taking the title ‘Lady of the English’, a civil war broke out throughout the country, known as ‘The Anarchy’. At Lincoln in February 1141, Stephen laid siege to Lincoln Castle belonging to the Earl of Chester. The Earl with the help of Robert of Gloucester defeated and captured Stephen and moved him to Bristol where Empress Matilda put him in prison. In April Matilda was elected Queen and moved to London for her coronation, but the citizens of London supported Stephen and drove her out before she could be crowned. Stephen’s wife sent an army to assist her husband, Robert, Earl of Gloucester was captured and held until Empress Matilda released Stephen who restored control of the Throne. In December 1142, Empress Matilda was besieged Oxford, but escaped across the snow wearing a white cape to Wallingford Castle. Matilda’s son Henry II in 1147, while only 14 years of age, he had raised a small army of mercenaries and invaded England but was defeated, he again tried in 1149, and once again Stephen defeated him, Henry returned to Normandy where in 1151 became both Count of Anjou and the Duke of Normandy giving him wealth and power. Two years later Henry invaded England again to attempt to get Stephen’s agreement that he should become King of England on Stephen’s death, later that year Stephen’s son Eustace died in a battle with Henry at Wallingford, which left Stephen without an heir and agreed with Empress Matilda that her son Henry II would succeed to his throne. King Stephen died 25th October 1154 at Dover Priory, his wife Matilda had died in 1152. 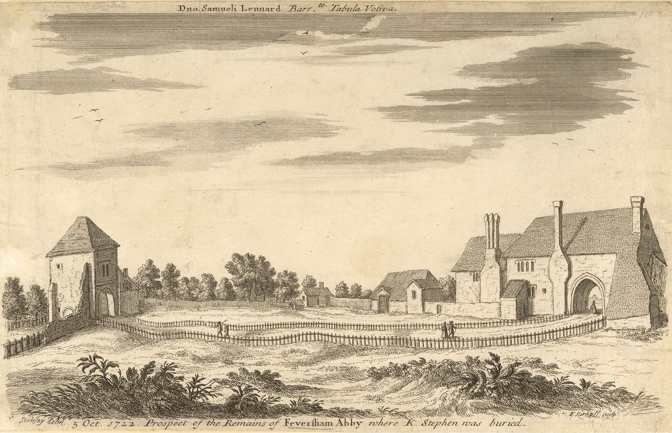 They along with their son Eustace were buried in Faversham Abbey where Stephen and Matilda had founded in 1147.